The people we affect through our actions (or inaction) can have a monumental impact on our careers, wellbeing, and happiness. In today’s world, the relationships you build, and the social interactions you have, can steer your path to success in more ways than you may realize at the time. This month, we spoke with Indy Hothi, co-founder of the social business “Hothi & Othi” to hear his perspective on the power of relationships, building diversity-focused recruiting programmes, and how he impacts change on a global scale. Indy Hothi is a Senior Economic and Strategy Consultant for EY and co-founder of the social business, ‘Hothi & Othi’ which aims to provide a platform for emerging artists to support their careers and selected charitable causes. 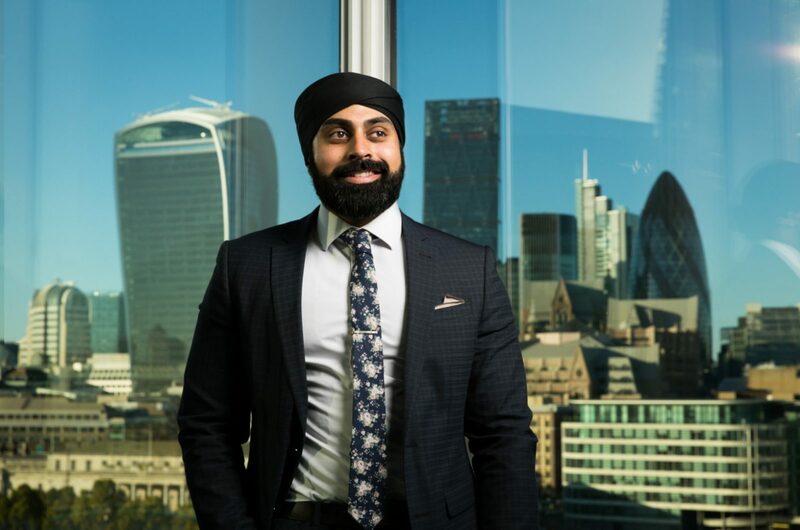 Based in London, England Indy’s mission to make the world a better place through innovation and diversity has led to his contributions to various social and humanitarian organisations including Khalsa Aid, Teach First, and One Young World. Earlier this year, Indy was recognized as “Role Model of the Year” by BITC. Congratulations on being named “Role Model of the Year” at BITC’s Race Equality awards! Who were the role models you looked up to in your career? Thank you for the kind words, it was truly an honour to be recognised by BITC. There are many role models that I look up to and a lot of them are ordinary people who necessarily aren’t well known celebrities or political figures but are making a huge positive impact in the world in their own right. One of them would be Ravi Singh, who is the CEO and founder of international humanitarian charity Khalsa Aid. Ravi founded this charity in 1999 on the principle of recognising the whole human race as one which has grown now to this tremendous organisation which has literally touched millions of people’s lives. Values of perseverance, resilience and believing in a vision are qualities which I look up to. From those relationships, is there a piece of wisdom that’s stuck with you, or a lesson you’ve learned that you would like to pass on to future generations? One piece of advice that has really resonated with me is around the value of your social capital & relationships which should always be nurtured through giving and supporting rather than ‘taking’. Some of the initiatives or opportunities which have come my way have been down to previously supporting someone in my network. The message I’d want to give to the future generation is definitely centred around sharing within your network. Was there a moment in your career, or life, that made you think “This is what I should be doing? This is the kind of work I want to do”? To be honest, I’ve not been lucky enough to have that ‘eureka!’ moment where I realised what I should be doing with my life. I actually feel that sometimes having that moment means you end up zoning in on one role/industry which can actually be very self-limiting. Instead I try and focus on a number of values & principles and whether they’re being achieved. I won’t go through all of them here but two key ones for me are, making a positive impact on the world and being continuously challenged. Right now I feel like those two values are being achieved (but there’s always room for improvement!). Tell us about your work in the Black, Asian, and Minority Ethnic (BAME) community. What was your approach to improving EY’s effectiveness when it came to recruiting BAME talent? I’ll share one of the initiatives which is close to my heart and that is supporting graduate recruitment within the BAME community. I graduated in 2010 and clearly remember the challenges faced in securing a role in the City and I wanted to do something to proactively support others. I then went about organising a number of ‘Graduate Insight’ evenings targeting BAME graduates at universities across the UK to simply put, demystify the entire recruitment process. At the time it wasn’t an approach EY had directly taken but at the same time the firm was completely and utterly supportive with it. To date, I can proudly say we have supported c. 1,000 students and hope that it continues! With over 1,600 members and 3,000 dedicated social media followers, the Sikh Network has become EY’s third largest Diversity and Inclusion network. Could you take us through how you raised awareness for this initiative? The EY Sikh Network (‘EYSN’) has definitely grown from strength to strength. I think one of the key factors was around creating an inclusive environment at EYSN events where colleagues or guests regardless of their background could learn or take something away from initiatives. Another success factor was taking an open and collaborative approach to events/programmes, instead of recreating the wheel we partnered with community groups already undertaking initiatives which align with our objectives and values. What role do you see the arts playing in today’s social landscape in the UK? Art plays a hugely important role in today’s social landscape. For me, art is a form of human expression which can transcend so many barriers. For example, there are often difficult or taboo subjects which people find hard to talk about or are very polarising. Art here can play a role in providing a ‘softer’ entry point to encourage conversation, debate and constructive dialogue. In addition I am a true believer in arts therapy and how it’s such an underused tool to support mental wellbeing. In terms of practical steps I think it’s really about leadership having an honest conversation across all levels around where they are currently at in terms of D&I. That conversation should cover the demographics and numbers but also more importantly the culture of the organisation. Having an honest and frank conversation like that really opens up the floor for future actions.